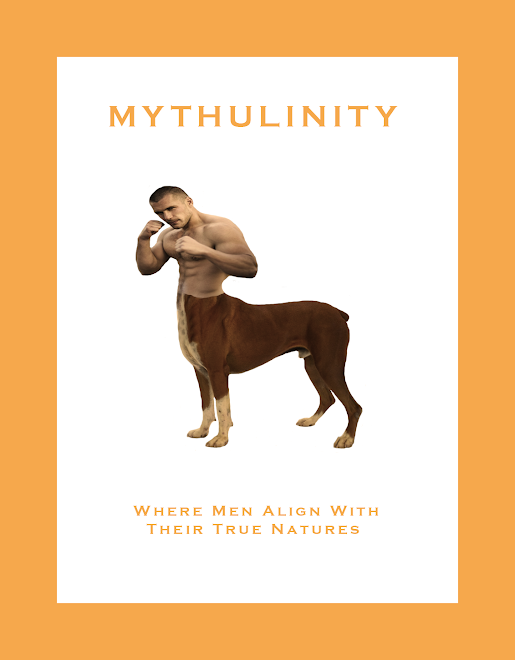 Mythulinity: Manimal Theater: Heavier than . . .
"Heavier than . 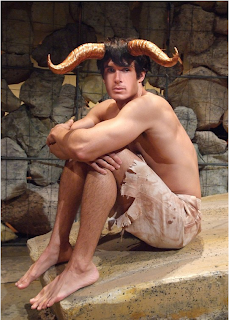 . .", a play by Steve Yockey, is a mythical mash-up concerning a relationship between Asterius, the minotaur, and Icarus, he of melting wings fame. Icarus is obsessed with Asterius and, by the looks of the horned fellow, who can blame him for his attraction? Nick Ballard as the minotaur, Asterius. The play was produced at Theater @ Boston Court this past summer with the eye-catching Nick Ballard playing Asterius. Perhaps, there will be future mountings of this work and some of us will get the chance to take in a hunky minotaur stomping around stage. Of course, there's no guarantee that future Asterius portrayers will be as fetching as Mr. Ballard.